"Do text messages transfer to new iPhone from old iPhone? I have bought a new iPhone but can’t understand how to transfer messages from iPhone to iPhone?" 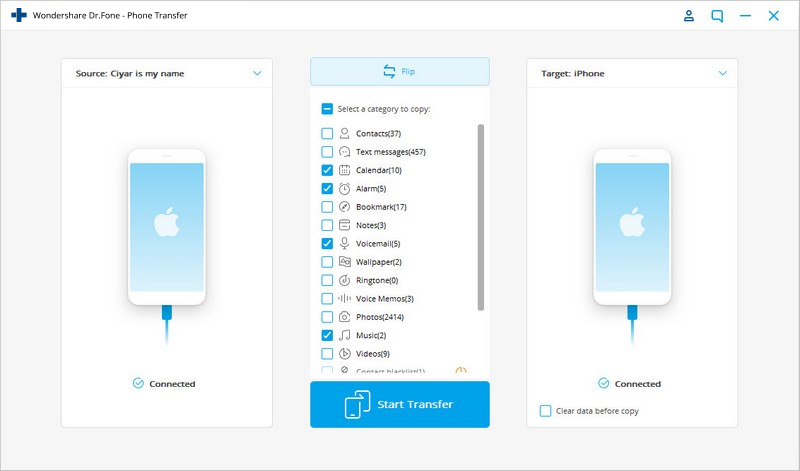 Lately, we have got plenty of feedback like this from users who wish to learn how to transfer messages to new iPhone from an existing iOS device. If you have the same doubt, then you have come to the right place. 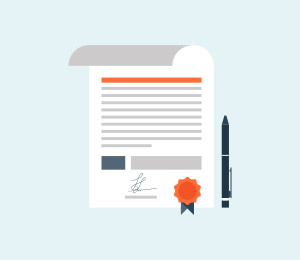 While it is quite easy to move music, videos, or pictures from one iPhone to another, you might need to walk an extra mile to transfer contacts or messages. 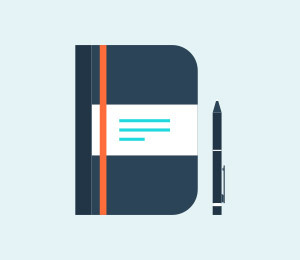 To make it easier for our readers, we have come up with three different techniques to transfer messages from an old to new iPhone effortlessly. Read on and learn how to transfer messages from iPhone to iPhone in no time. There are 3 different ways on how to transfer messages to new iPhone. But which one to choose? Chances are that you might get confused . To make things easier for you, we here provide a quick comparison. 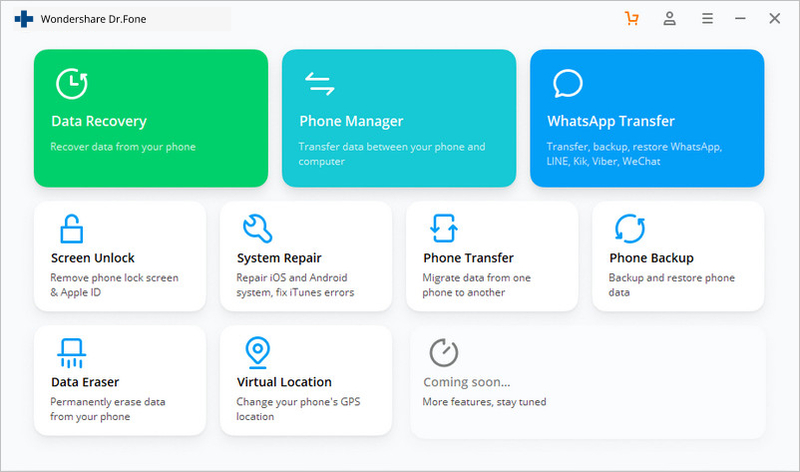 If you want to learn how to transfer messages from iPhone to iPhone seamlessly, then take the assistance of dr.fone toolkit. Simply use dr.fone - Switch to move your messages from one iPhone to another. Not only messages, you can use it to transfer all data files to new iPhone. Transfer messages from iPhone to iPhone within seconds. No data loss during iPhone-to-iPhone message transfer. 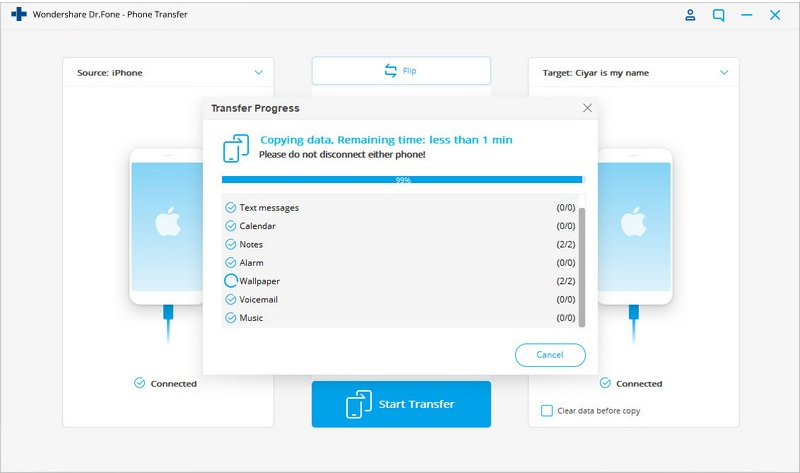 Transfer everything from any iPhone or Android to any iPhone or Android. Support iPhone X/8/7/SE/6/6 Plus/6s/6s Plus/5s/5c/5/4/4s that run iOS 12/11/10.3/9.3/8/7/6/5/4. Open software > Connect iPhones to PC > Select "Messages" > Click "Start Transfer"
1. Install dr.fone - Switch on your Windows or Mac. 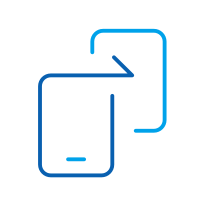 Connect your old and now iPhone devices to the system and launch the application. Click on the “Switch” option from the home screen. 2. Confirm that both iPhones have the right positions as target and source devices. Or click "Flip" to swap. 3. Select the kind of data you wish to transfer. Make sure that the option of “Text messages” is enabled before clicking the “Start Transfer” button. 4. This will initiate the process. Wait for a while as the application transfer your messages to new iPhone. 5. Once it is done, you can disconnect your iPhones from the PC, and view the messages on the target iPhone. 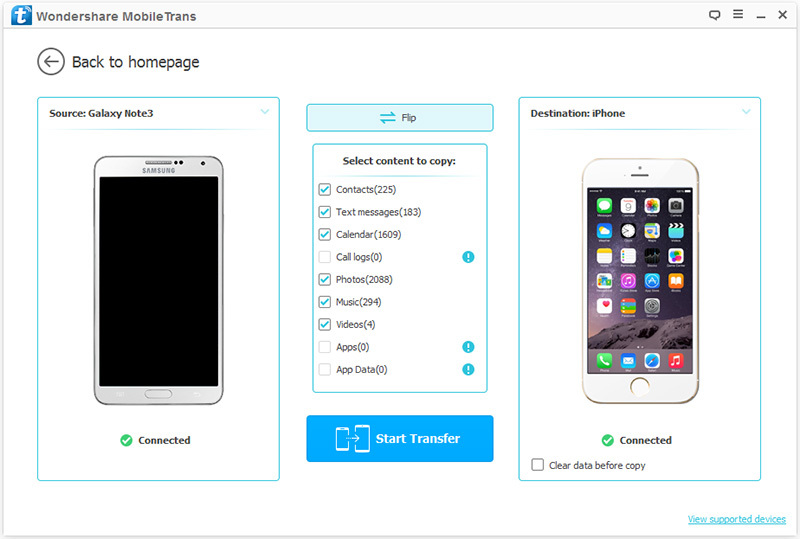 After following these easy steps, you can learn how to transfer messages from iPhone to iPhone with dr.fone - Switch. 1. 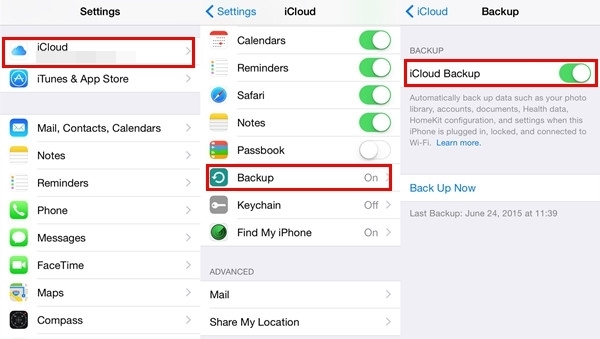 Firstly, turn on the iCloud Backup feature on your source device. Go to Settings > iCloud > Backup and turn on the feature of “iCloud Backup”. 2. Afterward, ensure that your messages are also synced to your iCloud Backup. To do this, go to Settings > Messages and turn on the option of “Messages on iCloud”. 3. You can also tap on the “Sync now” button to sync your messages right away. 4. 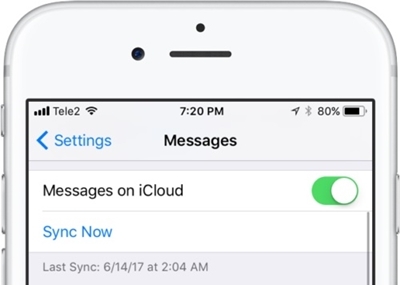 After taking a backup of your messages on iCloud, turn on your new iPhone. 5. While setting up your new iPhone, choose to restore it from iCloud. 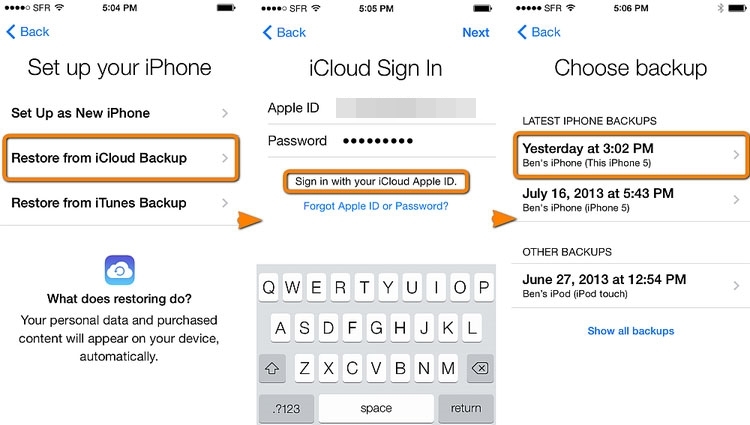 Sign in using your iCloud credentials and select the recent backup. 6. 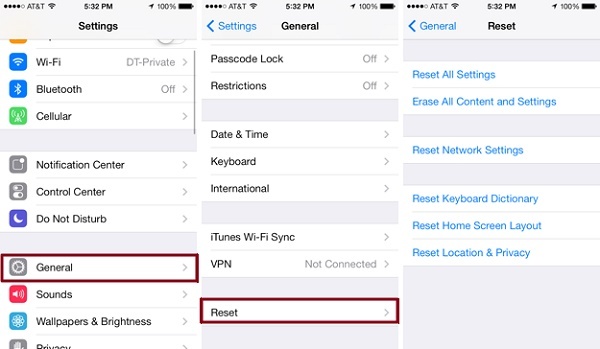 If your target iPhone is not new, then go to its Settings > General > Reset and tap on the “Erase all content and settings” option. This will reset your device, so that you can perform a setup from the scratch. 1. Connect your source iPhone to your system and launch iTunes. 2. 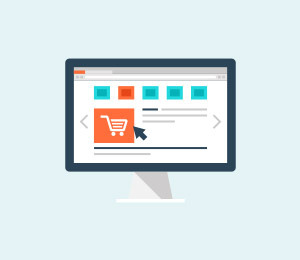 Select the device and go to its Summary page. 3. 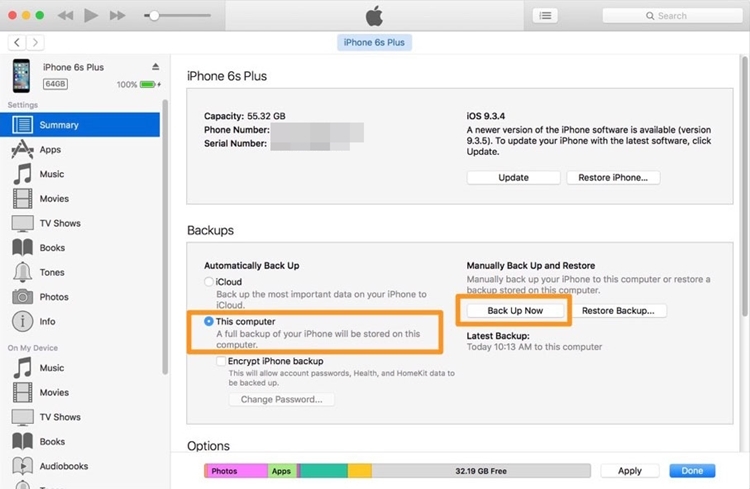 Under the Backups section, click on the “Backup Now” button to take a complete backup of your phone. 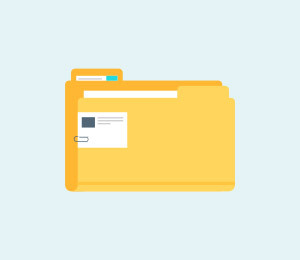 Make sure that you are taking a backup on the computer instead of iCloud. 4. 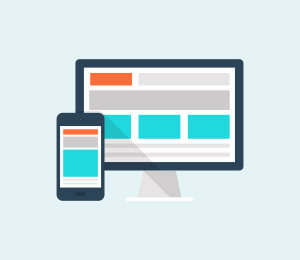 After taking a backup of your device, disconnect it and connect the target phone to the system. 5. Launch iTunes and wait for it to recognize the new iPhone. 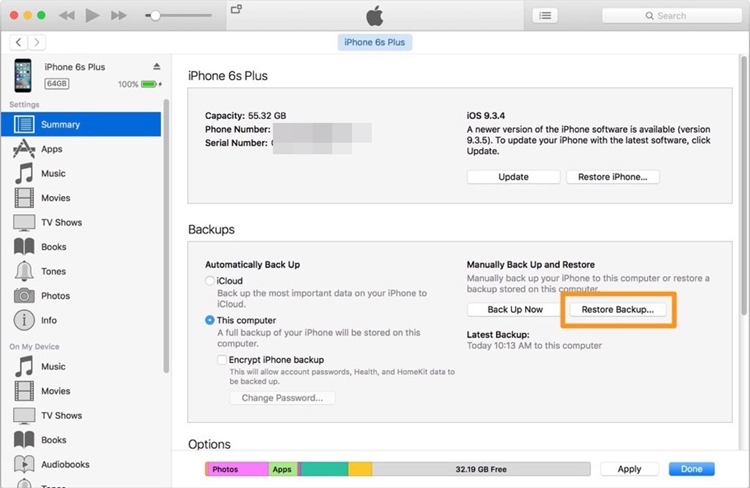 From here, you can choose to setup your device while restoring a previous backup. 6. Alternatively, you can also go to its “Summary” page and click on the “Restore Backup” option to restore the existing backup on your target device. Now when you know how to transfer messages from iPhone to iPhone in different ways, you can simply pick the preferred option. 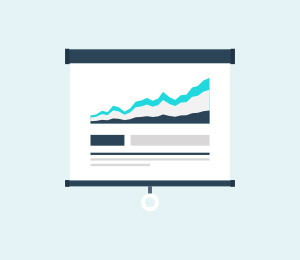 We have also compared these techniques, so that you can go with the most suitable alternative. 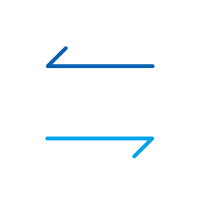 Go ahead and follow this stepwise tutorial to transfer your messages from one iPhone to another. Whenever someone asks “do text messages transfer to new iPhone,” make them familiar with an easy solution by sharing this informative post.